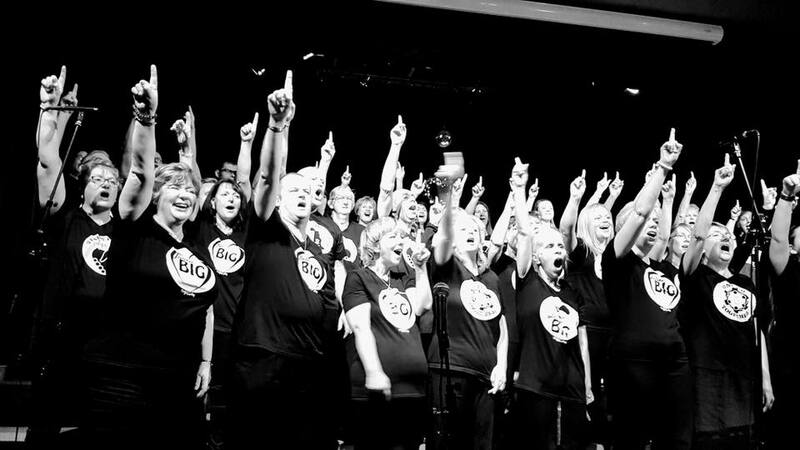 The BIG Sing Community Choir are working hard to show community singing at its best! The members are people from the local community who have a desire to sing. The BIG Sing gives them the opportunity to be taught by expert tutors, turning the choir into an amazing sound and giving them unique performance opportunities. JOIN US! The BIG Sing has now grown to become a family for all ages. The choirs are open to everyone – you don’t need to have a fantastic singing voice – just bring your enthusiasm. There are no auditions – the weekly rehearsals are very relaxed but most of all fun! The songs taught are pop, motown, contemporary, inspirational, soul, and gospel songs. All with uplifting and motivating lyrics. Come and join us weekly - every Wednesday 7-9pm. Parking is free and available at the church. Singing is for everyone - just come along and give it a try! Only £7 per week pay as you go - no upfront payments or terms to commit to - just pay when you can make it! TEENS (ages 12-16years) are only £5 payg per week.